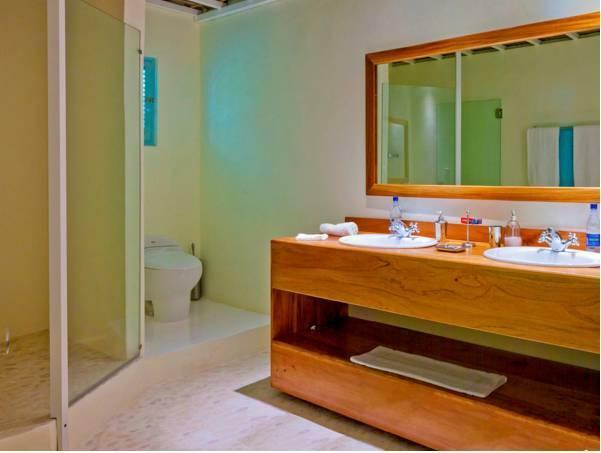 ﻿ Best Price on Hotel Piratas del Caribe in Paraiso + Reviews! Set on a private stretch of Paraiso Beach, Hotel Piratas del Caribe offers an outdoor pool, tropical gardens and an international restaurant. Each bright air-conditioned junior suite has a furnished terrace. The Piratas del Caribe’s spacious junior suites have charming colonial-style décor and a king-size bed with mosquito nets. Each one includes free Wi-Fi, a flat-screen TV and a modern bathroom with a shower. At an extra cost, Hotel Piratas del Caribe can arrange massages and manicures, airport transfers, car rental and babysitting services. You can also book trips to Lake Oviedo, Las Aguilas Bay and Jaragua National Park. San Rafael Beach is a 10-minute drive from the Piratas del Caribe Hotel, while Barahona town and Lake Oviedo are both around a 30-minute drive away. Free parking is available on site.